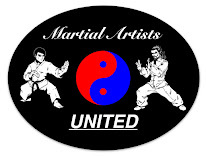 Martial Artists United (MAU) is a blog for Martial Art practitioners and enthusiasts to freely share their experiences and philosophies about Martial Art and other areas of life in the spirit of unity and to aid in each others growth; Physically, Mentally and Spiritually. Hi there, in 2013 I was transferred into another high school. One of my first internal assessments for English was an inquiry essay (I think that's what it was called). What we had to do was look at a text (books, poems, novels, short story etc) or movie, form inquiries and write an essay about about that 'text' or 'movie'. The inquiries form had to be related to a theme or message that can be linked to this society or world that we live in. The movie I choose was random (that is I just picked random). I did not know they would let me do my essay on that movie, but fortunately I was lucky. The movie was called "Boyz n the Hoods", by John Singleton. I was actually excited to write about this. I did had fear writing this first essay in that new high school that I was in, because all my internal essays in English in my previous high school were either low grades or a fail. Fortunately for this essay it was over 9000 times better than the essays I wrote in my previous high school, which I assumed from the grade I got. (I was exaggerating about it being over 9000 lol, but it's was better than getting the lowest grade and a fail of course) It wasn't straight A+ unfortunately but better than a fail. After getting my result for this essay I had the greatest confidence to write more essays. At that time I feel like I can right essay in ease. I know you guys are probably like STFU we don't care about this and stop making a big deal out of this, well to me personally I think it's great so you STFU lol. The Effects of Socio Economic Segregation on the American Citizen. A text (visual/film) that interests me and persuades me to do an investigation is Boyz n the Hood directed by John Singleton. From this text I became more aware about social problems in society, because in a scene of that text it expresses socio economic segregation. When I acknowledged this social problem I started to think deeply about socio economic segregation and developed a strong opinion on it. This leads to the topic that I am going to discuss “The effects of socio economic segregation on the American citizen”. Although the text is not mainly about socio economic segregation the text did expressed that principle of that social problem in the background of the text. My key questions in this topic that I am going to cover are; what are the consequences of socio economic segregation in society? Can people succeed in life and still live healthy with the effects of socio economic segregation? And are there any solutions for the problem of socio economic segregation? I have gathered evidences for my response to the question that I have outlined, and I also drawn a conclusion based on this evidence. Socio economic segregation results in many consequences. A model from the argument of Douglas Massey and Nancy Denton in America Apartheid (Harvard UP, 1993), shows “how Segregation Causes Poverty” which corresponds to the effects of socio economic segregation. From this model, the segregation in general is the root of this social economic problem (or socio economic). From segregation in the model there is an arrow (the arrow represents “results in”) that points to, a number of correlations, isolation from social network and linguistic isolation/dialogue drift, these are two major consequences of segregation. Another correlation is the result of poor public services. With Isolation from social networks and linguistic isolation/dialogue drift this then results in poor job opportunities, meaning that these two phases (consequences) results in poor job opportunities. Poor public services results in low tax base/higher tax rate and/or leads to low business ownership. Another result is low school achievement which leads to poor job opportunities and then that will eventually end up at concentrated poverty. And another result is business flight, which leads to poor job opportunities and then again concentrated poverty. So basically, from segregation which is like the starting point will result in concentrated poverty. This webpage not only provides the model of “how Segregation Causes Poverty” it also provides a description of racial segregation in the US. It has discussion about the Black and Hispanic segregated neighbourhoods which are poor because of racial segregation-that causes the poverty of their inhabitants. The conclusion that I have drawn based on this webpage is that racial segregation is a major cause of socio economic segregation in the US, which is shown by the model of “How Segregation Causes Poverty”. Racial segregation was an immediate cause, because during the racial segregation and discrimination, blacks were forced to live in poverty because they did not have the of middle class cultural attributes-thus having poor job opportunities as a result that leads to concentrated poverty. The book “Segregation, Poverty, and Empowerment: Health Consequences for African Americans” states “ African American have higher rates of unemployment, illiteracy, unwed and teen births, low birth weight, homicide, and infant mortality.”(Thomas A. Laveist, pg 3/5, 1993) This statement tells us that racial segregation leads to socio economic segregation as when enforced racial segregation occurred (between 1877-1968 during the Black Civil Rights Movement), black people were living in the poverty. When racial segregation ended racial discrimination did not. The social economic issues were still present. Therefore racial discrimination does cause socio economic segregation. This maybe why you see a large majority of black people are living in poverty in America thus racial discrimination is a transition phase cause of socio economic segregation. My view on this is that based on the article, I concluded that children (or people in general) are unable to succeed in life with the effects of socio economic segregation. Families that want to support their children and are unable to are the families who get low income. This shows that there is an inequality of opportunities for the poor families. So socio economic segregation does provide the inequality of opportunity for the American citizen. Therefore poor people have little to no chance of success in life, unless the government supports them. Thus, the people being affected cannot live healthy with the effects of socio economic segregation, as the majority become unhealthy with the lack nutrition which is often evidential in low income environment. This meant that children of all classes, rich and poor, should be equal, through socio economic integration. This will boost academic achievement in schools by integrating poor and rich children together. As poor children will be surrounded by high academic rich children, the poor children can become just as highly academic than the high academic rich children, through exposure to better education socializing. This source also states “low-income students perform better in middle-class schools” (Richard D. Kahlenberg, pg 3, 2013) - which supports the strategy of socio economic integration. Eventually by having the integrations there will be better job opportunities which therefore will “break” the cycle poverty from socio economic segregation. According to the article titled “Social Mixing: the solution for social and ethnic segregation" there is discussion of social mixing as a strategy that can be used to solve social segregation(socio economic). It states “social mixing is, however, a measure to show clearly that concentrated pockets of disadvantage and poverty are unacceptable, and that different layers of government work together to prevent people and places from slipping off the map.” (EVKN, 2012) By having social mixing, it will provide more job opportunities and increase the average income, which avoids concentrated poverty. Socio economic segregation in America is one of the most concerning social problems. As I did some investigation on it I found that the extent of socio economic affecting the American citizen is that it leads to concentrated poverty as a consequence. Another thing I found is that with the inequality of opportunities, there is less chance of living a healthy life. Lastly, socio economic integration and social mixing strategy is a solution for the problem - socio economic segregation. By having integration in terms of economics, there will be less likely to be concentrated poverty occuring. I have expanded my understanding of “the effects of socio economic segregation on American citizens” and from this investigation I have become enlightened. In everyday life, social problems like socio economic segregation is exposed to society some people may be aware of it and others may not, which is what the text(film) “Boyz n the Hoods” was trying to express. Which is where I initially became aware of it and started to think and developed my opinions on this topic. Sympathetically, I feel that is wrong for people to be segregated based on their socio economic status, because that leads to terrible things like poverty! Sharing my essay was inspired by Ben H.
Glad to know your writing skills are improving and that you are able to compose better essays now. Good luck with your new high school. The martial techniques we execute are our drawing instruments, the Universe is our canvas. Try This Quiz! -What Martial Arts Suit You? 5 Most Viewed in the Last Week!